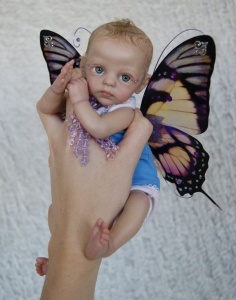 WOW how cute is this little Fairy! she is 9-10" long with full arms and full legs. and a tinkerbell doe suede body separately. Both can be added from the drop down menu above. I just couldn't resist buying this kit. 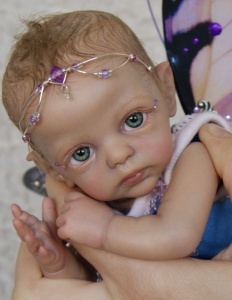 The detailing is so good and the face is very pretty, I just love her. Excellent. Service. Orders always sent out straight away.